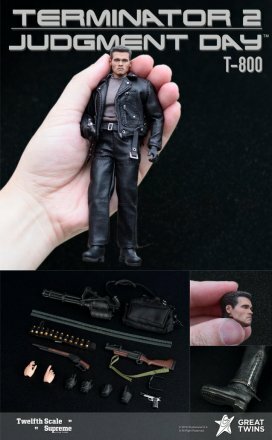 Mezco opened up a huge new space in the market with their 1:12 collective line. 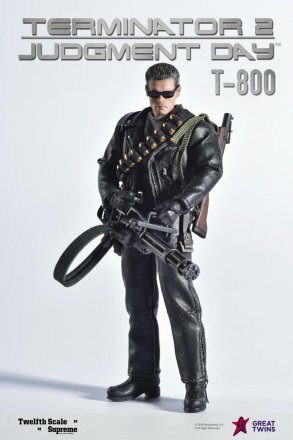 It was only a matter of time before another toy company stepped up to try and take a piece of the pie. It looks like that company is Great Twins. Honestly, we’ve never heard of them before and they seem to have only really other done some Sofubi collectibles in the past. With all that in consideration, they are taking a bold step by launching their 1:12 line of figures with a license as beloved as The Terminator. 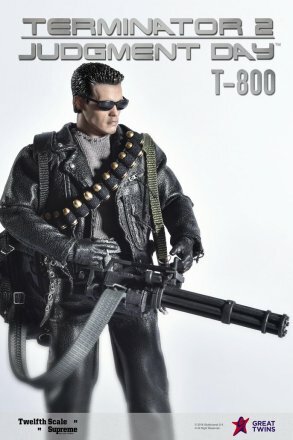 In the first 1984 film, the Terminator designated “T-800″ time-travelled from the future back into the past to kill “Sarah Connor”. In 1991’s sequel, the roles were reversed with a new “T-800″ this time sent back in time to protect Sarah Connor’s son, “John Connor” (who is the leader of the human resistance in the future), from being killed by the more advanced “T-1000″. Both “T-800″ Terminators were played by actor Arnold Schwarzenegger, a fictional character who have since entered the pop culture consciousness. 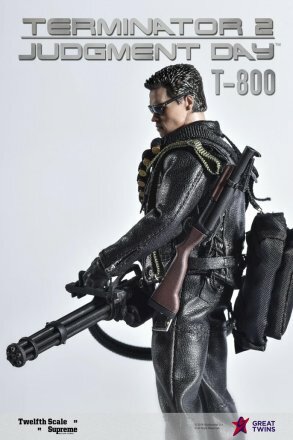 One of his more iconic spoken lines in the film was “I’ll be back”, and 27 years later, indeed the T-800 has returned, but this time as a premium articulated collectible figure, ready for “action” in the palm of your hands! 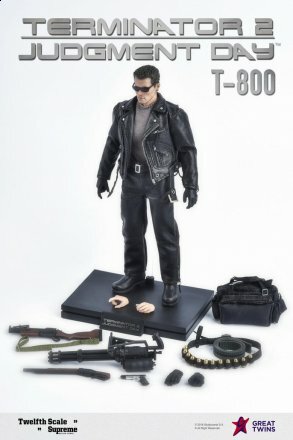 “Twelfth Scale Supreme Action Figure” presents the 1/12th scale collectible action figure of “T-800″ from “Terminator 2: Judgement Day”! 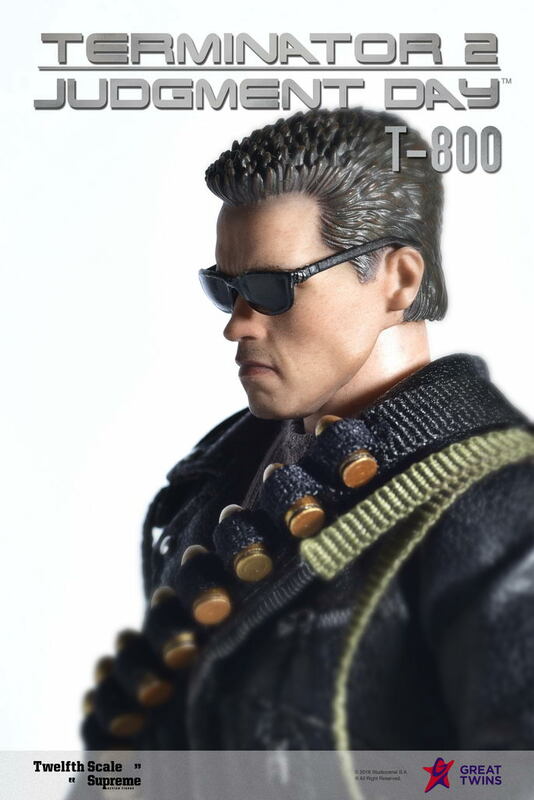 The hyper-realistic collectible figure features a head sculpt with a hand-painted likeness of actor Arnold Schwarzenegger in his appearance as “T-800″, mounted atop a magnetic neck which enables flexible rotation for the head, for optimum poseability. 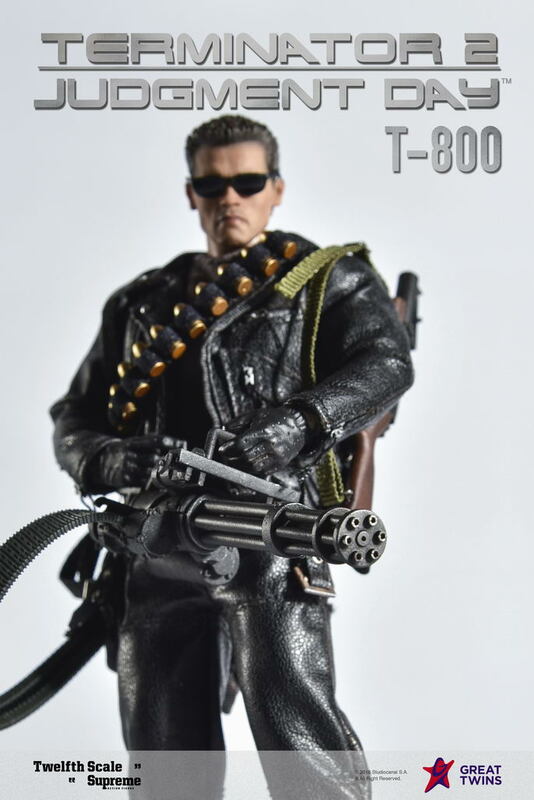 The Action body features over 25 Points of Articulation, and is clad in his iconic black PU leather jacket and pants ensemble, and not forgetting his (removable) sunglasses, to complete that cool-”Infiltrator-Unit-killer-robot”-look! An amazing array of accessories include a Mini Gun, Grenade Launcher, Shotgun and Pistol, complete with a removable Grenade Launcher ammo bandolier and Mini Gun black ammo bag provides maximum play, and that the T-800 is ready to do battle at Cyberdyne building to destroy Skynet! A figure stand with name tag completes the set - ensuring stability on your display shelf, and a pride amongst your collection. 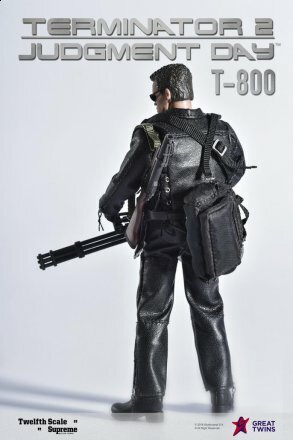 Filmmaker James Cameron is currently preparing to produce the reboot of the Terminator franchise, with the story continuing from T2, targeted for a 2019 release. Expect a renewed interest for the T-800, as actor Arnold Schwarzenegger is returning to reprise his role as the “Terminator” we all love! Scheduled for a November 2018 release.